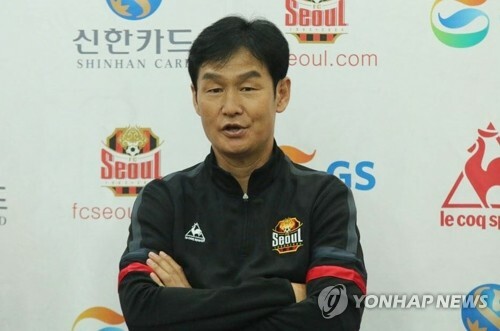 GURI, South Korea, Oct. 25 (Yonhap) — FC Seoul head coach Choi Yong-soo said Thursday that having returned, he wants to restore the club’s past glory. Seoul, six-time league champions, are in the lower group in South Korea’s top pro football league’s split system for the first time. Since 2012, the K League 1 has been running under the split system and currently 12 teams are divided into two groups after playing 33 matches. The teams then play additional five matches within their groups. 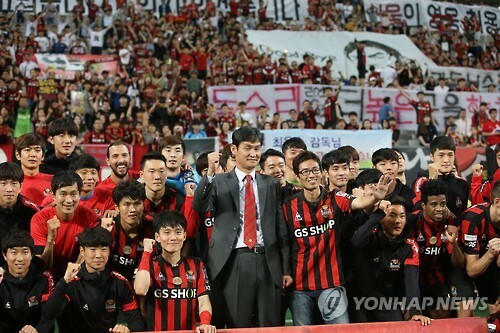 Under Choi’s watch, Seoul did not miss an Asian Football Confederation (AFC) Champions League appearance. Seoul were runners-up at the top continental club tournament in 2013 and Choi won the AFC Coach of the Year award that year. He also led Seoul to win the league in 2012 and claim the Korea Football Association Cup title in 2015. Choi’s Seoul return started badly as his team fell 1-0 to Jeju United on the road last Saturday. But for his first home match against Gangwon FC on Saturday, Choi said his side are determined to collect a win. Choi, former striker who represented South Korea at the 1998 and 2002 World Cups, said he believes that the players will rebound to end the season on a positive note.